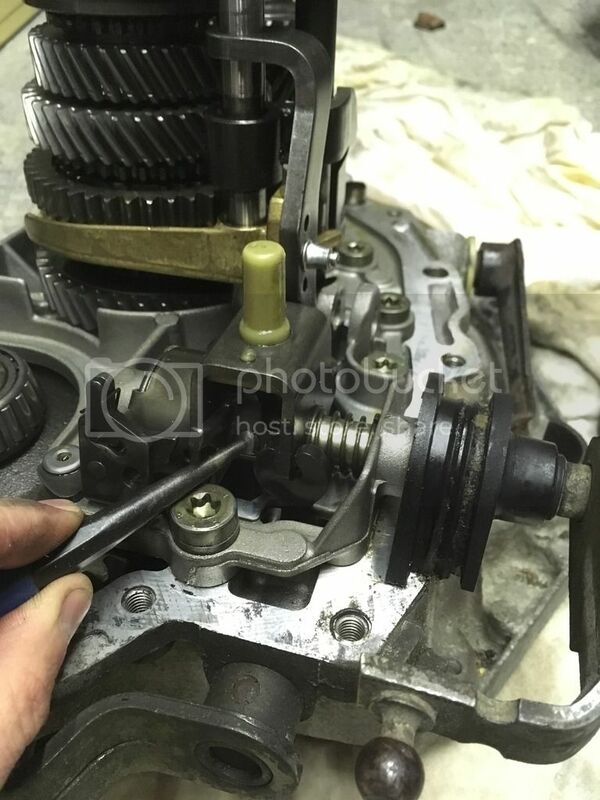 I'm part way through dismantling my gearbox following the guide in the 205 Haynes manual. 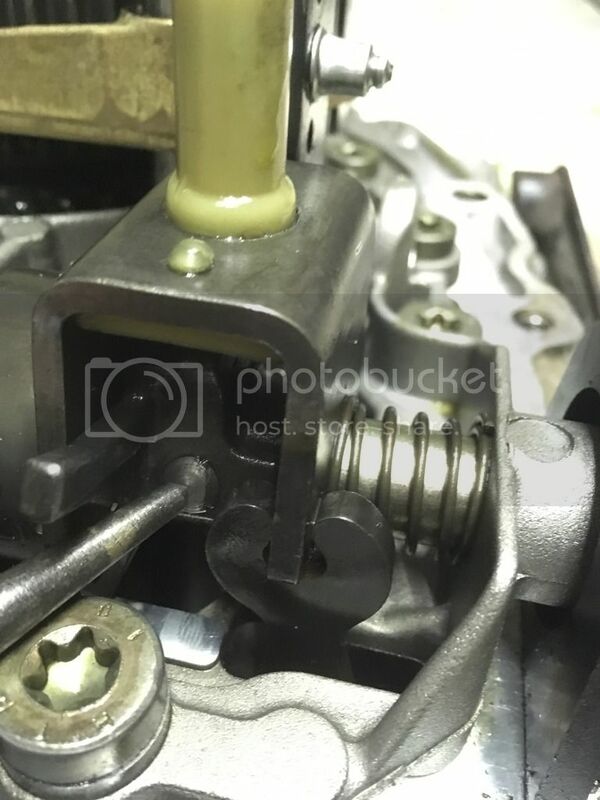 It's all gone well so far but now I've got to the stage where it says to drive out the pin in the selector shaft (pictured below) and it will not budge. Is there a trick to this? Or is it just a case of beat the hell out of it until it gives? Drive it out from the other side. We had fun getting that pin out of the box that came out of my GTi think we heated it up as much as we could then just took a big hammer to it and eventually it did come out. Fair enough, I'll give it a clout. I couldn't get a good angle to drive it out from the other side, even with the selector as far out and rotated as much as possible, Shirley it can go both ways? Nope! it's tapered so can only go one way! The side with the three little notches is the bigger end! Also knock it out with a flat ended punch not a pointed center pop. Got it in the end, just gave it a good clout in the right direction and it went. The centre punch was just to hand when I was taking the pictures.